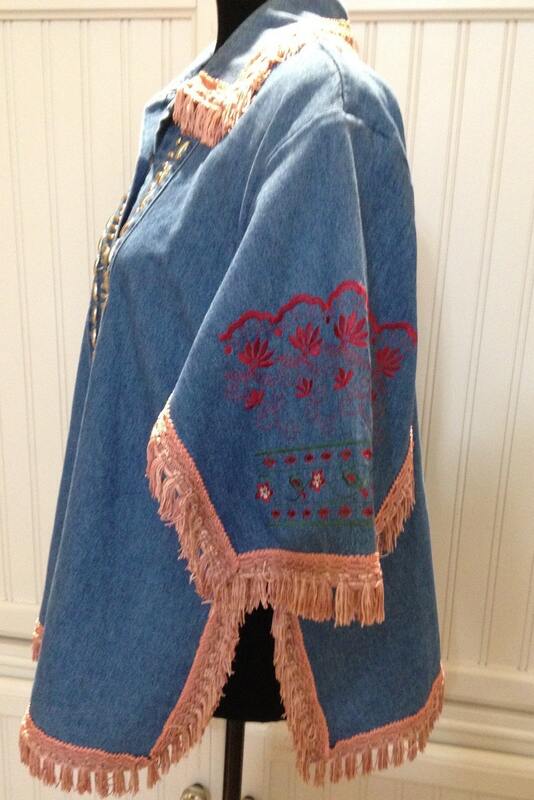 Womens upcycled denim jacket embroidered Red hearts back dusty pink fringe trimmed silver trim silver buttons Embroider sleeves boho chic. 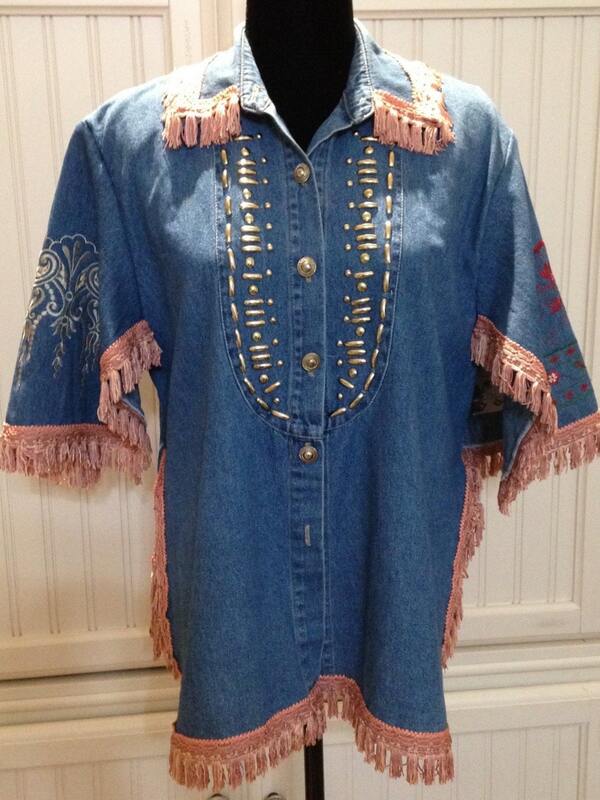 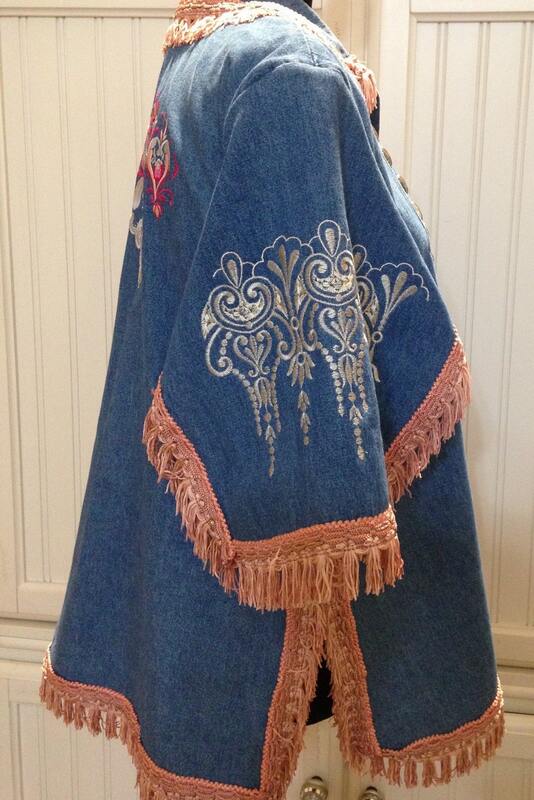 This softy elegant denim jacket has been upcycled by adding dusty pink fringe trim to the sides, the hem, and collar. 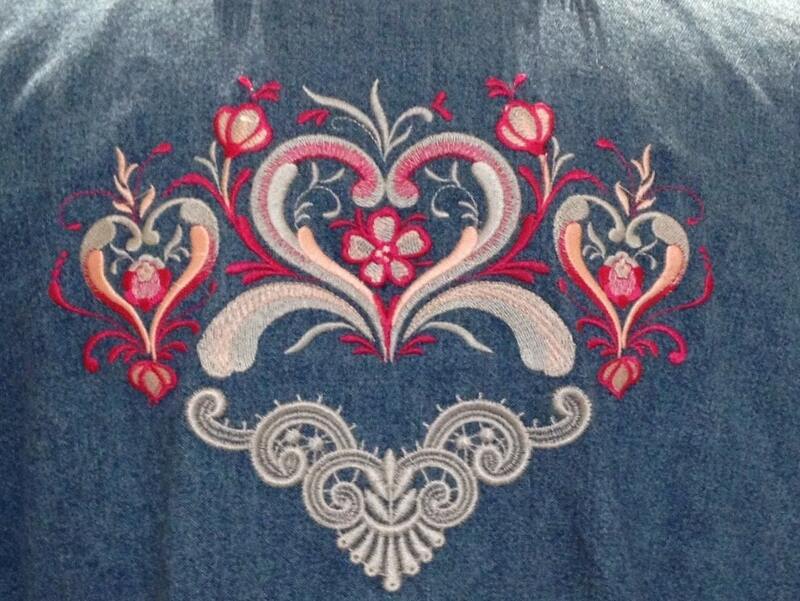 The back is embroidered with entwined hearts in red and silver and an added embroidered lace design. 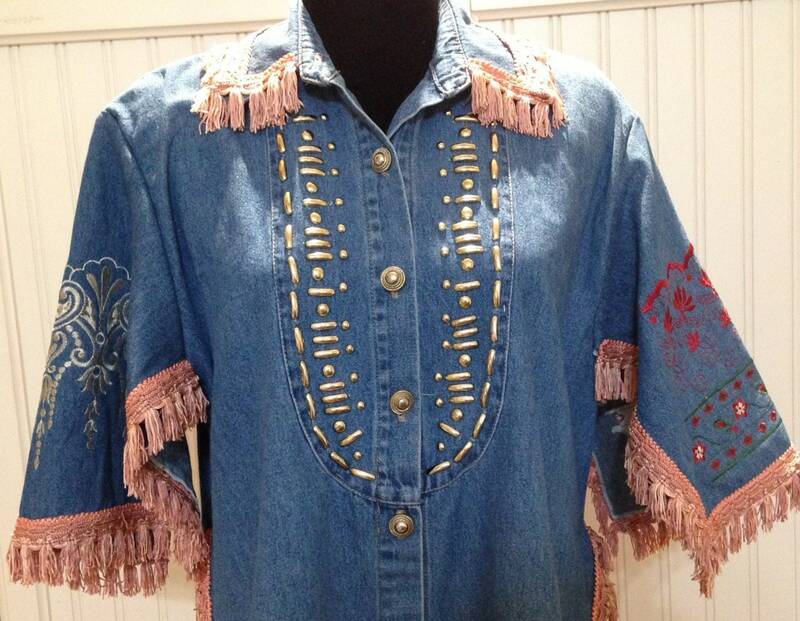 The sides have been opened and fringed to make this more easy fitting and elegantly flowing. 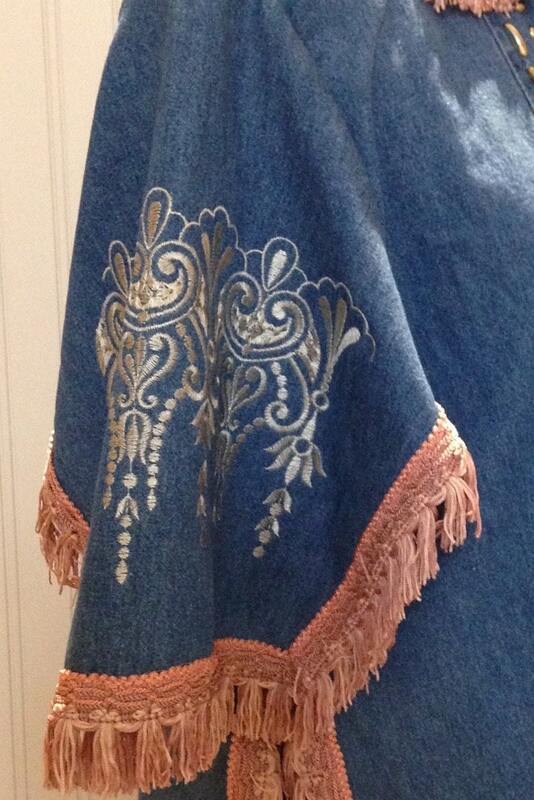 The sleeves too have been refashioned into angel sleeves open and trimmed with fringe. 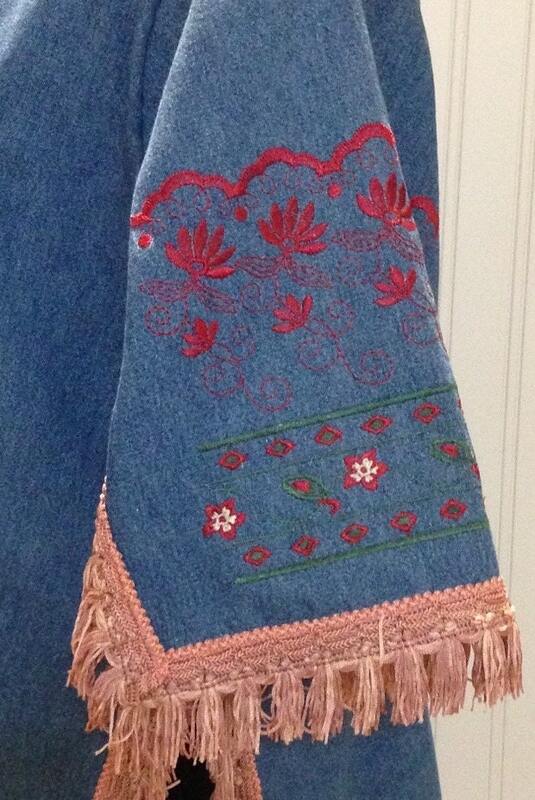 Each sleeve has its own embroidery design for a bit of boho chic. 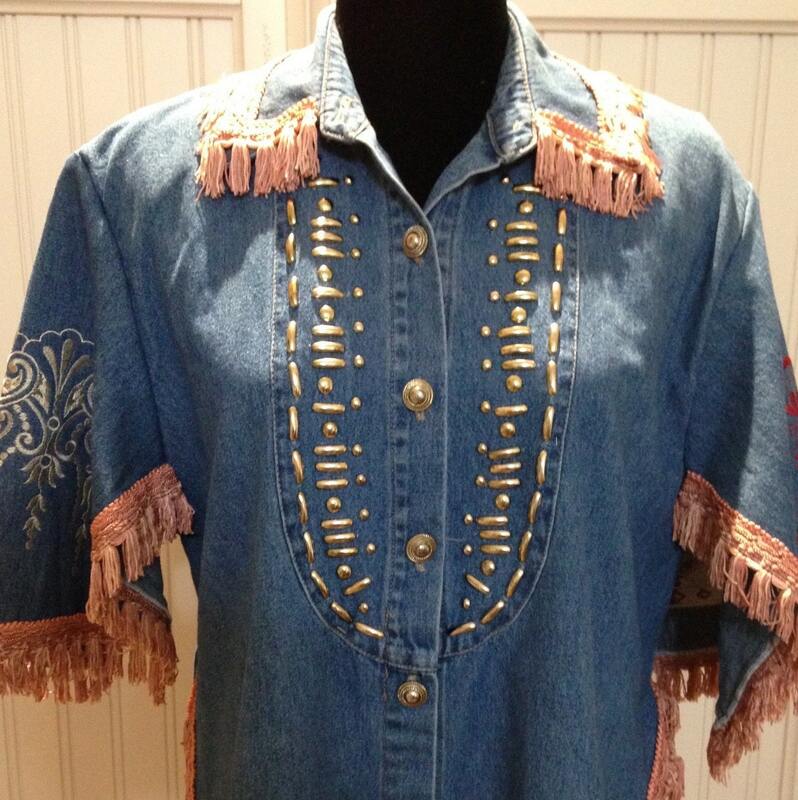 The jacket is a US Womens size Medium, but with the upcycled alterations it is a comfortable fitting jacket for a Large to XL size. 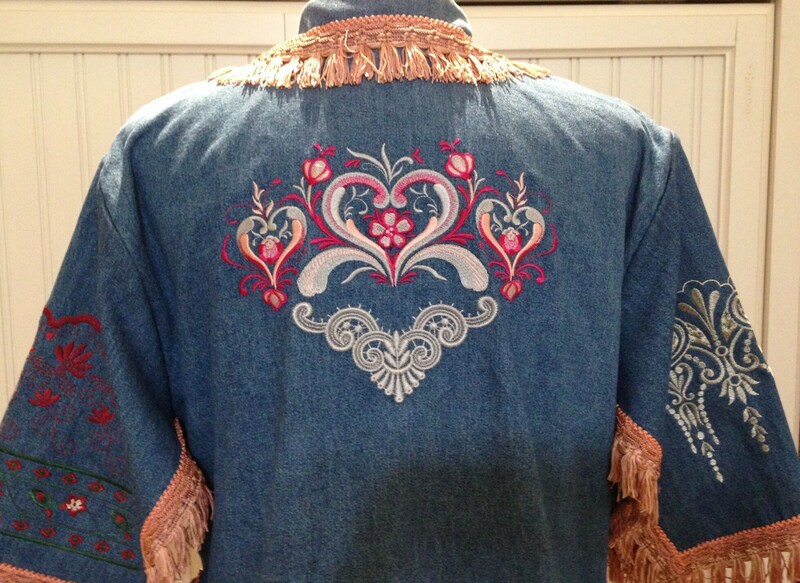 The jacket and all added trimmings are cotton and home decir fringe. 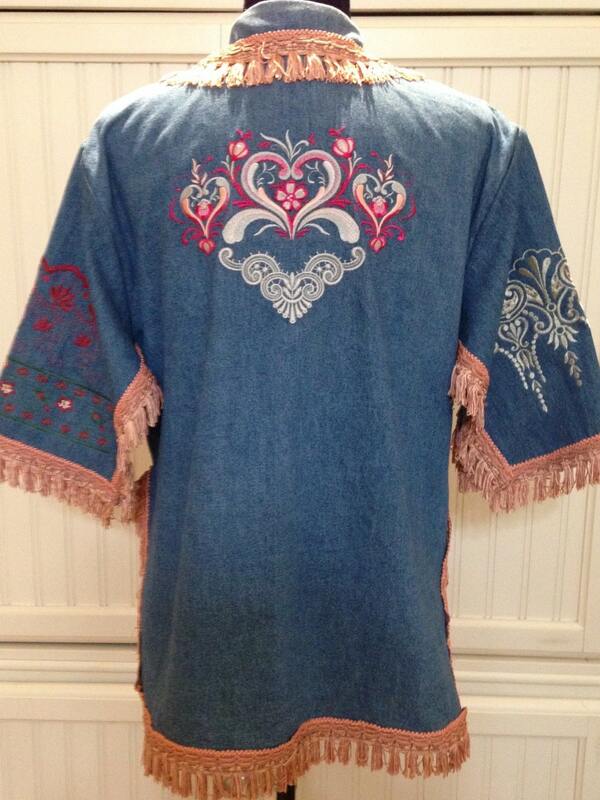 I recommend dry cleaning or hand wash to keep the colors bright and lovely.